I must confess, I am not a huge fan of cake unless it is homemade. And by homemade, I mean from scratch and not from a box. Bakery cakes (especially those from grocery stores) are way too sweet and box cakes taste artificial. When I do bake a cake I tend to make bundt cakes. However, once in a while I do really like a frosted cake and one that can be baked in a 9-x13-inch pan is even better. The best reason is that you don’t have to worry about removing it from the pan in one piece. Just cool, frost, cut in pieces and serve. Easy peasy and oh so delicious. Although, if you are feeling ambitious you can bake this cake in two 9-inch round cake pans for 25 to 30 minutes. Cool on a wire rack for 10 minutes before turning out the cake rounds to cool until room temperature. You will also need to double the amount of frosting. 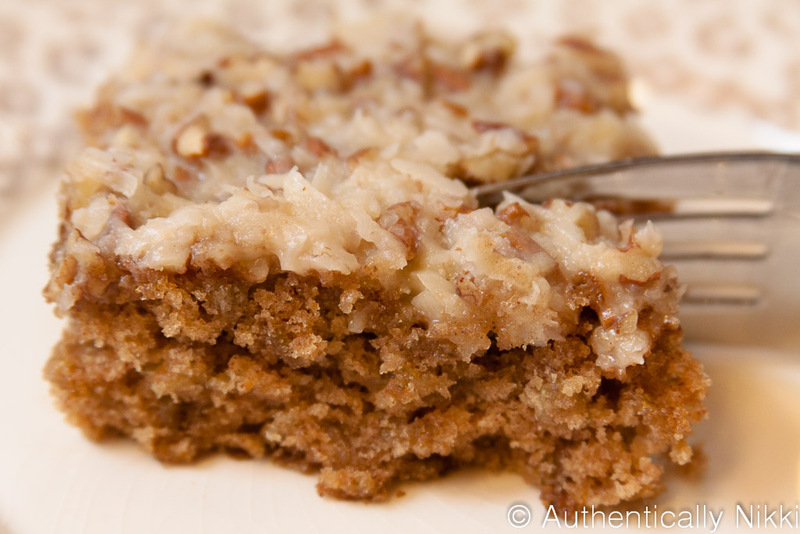 This cake is lightly spiced and has a wonderful nubby texture from the oats. Don’t wait for a special occasion to enjoy this cake. Recently I had some friends over for dinner and I needed a killer dessert. 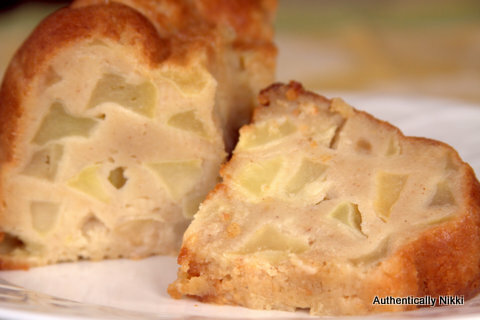 I kept thinking about the apple cake recipe from Around My French Table which I have made in the past to rave reviews. When I looked at the recipe again I was reminded that it calls for an 8-inch springform pan which would not be enough cake for 12 people. I really did not want to make 2 separate batches and have to wash the pan and dishes in between. So I thought to myself, what about using a bundt pan and doubling the recipe. What the heck, right? The worst I could do was screw it up and have to come up with another dessert at the last minute. Happily it worked with a few minor adjustments. 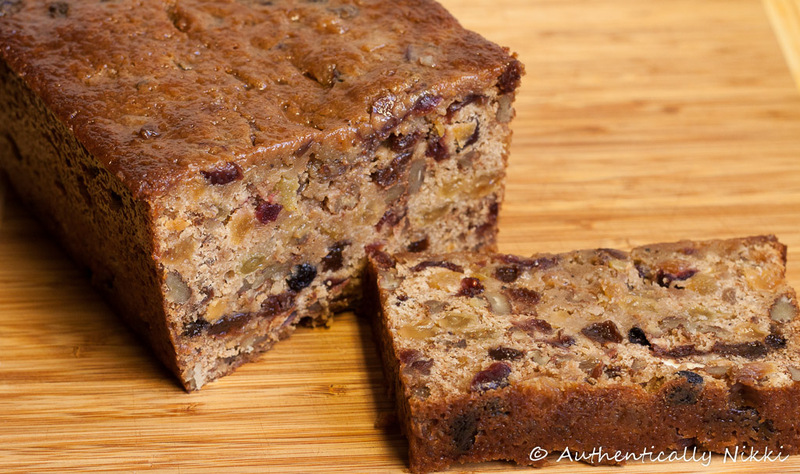 This cake is super moist, dense, packed with apples and has a texture reminiscent of bread pudding.